When petitioning Employer fails to meet requirements – A lot of times H1B visa extension is denied because the petitioner, i.e., the employer sponsoring the H-1B visa does not appear to be a real, established, operating U.S. company with a capacity to hire, pay and provide sufficient specialty occupation work to the H-1B worker. In order to avoid this, it is important for an employer to provide tax documentation, company financial statements, active contracts that prove sufficient specialty occupation work, and property lease information. The petitioning employer should also submit documentation of having an established location. 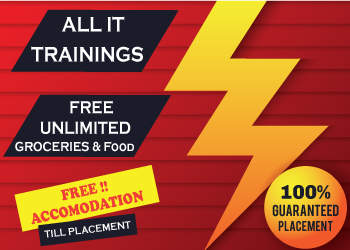 This can include brochures, website printouts, photographs of the company’s premises, and any licenses or stock certificates, if necessary. Lack of documentation can sink the whole application right there. 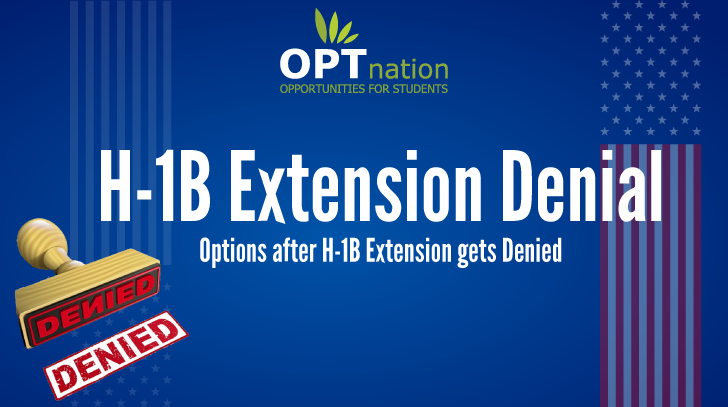 When a job does not require specialized knowledge or skills – When the offered employment does not qualify as a “specialty occupation” it can lead to H1B extension denial. USCIS will deny unless the employer can demonstrate that either a bachelor’s degree or higher degree or its equivalent is normally the minimum requirement for the particular position, the employee must prove that the specialized knowledge he/she possesses is directly related to the job offered, it is also recommended that the applicant be supplemented with evidence of the employee’s resume and experience letters from previous employers to avoid unnecessary denials or requests for evidence. Inadequate showing of Employer/Employee relationship – An H-1B employer is required to point out a work site or location where the H-1B beneficiary will work. However, if the H-1B petition mentions that the employee will work offsite at a client location; this may raise questions and concerns about whether the beneficiary will truly be working for the petitioning employer, or the employer is simply trying to get around the rules by acting as a “job shop” and placing the employees on subcontracting assignments. Therefore, the USIC will require from the employer to provide proof that the H-1B employee will be managed and “controlled” by the Petitioner and the subcontracting company (third party worksite) will have no authority over (hire, fire, payment of salary) the H-1B worker. You also need to submit an H-1B application with work contract agreements between the H-1B petitioner and third-party worksite. Insufficient fees filed – Another reason for H1B extension denial is the inability to pay sufficient fees while filing for the petition. It is important to keep yourself updated with the current laws and regulations to prevent any unnecessary delays, such as the basic filing fee for the I-129 petition has increased from $325 to $460, and the additional H-1B fees have increased from $2000 to $4000. When the employer has not paid prevailing wage – If the employer is unable to pay the prevailing wage then you will get your H1B extension denied. According to the Department of Labor, the “average wage paid to similarly employed workers in a specific occupation in the area of intended employment is called prevailing wage.” Employers are required to file a prevailing wage request to the National Prevailing Wage Center or use the Online Wage Library to find out what the prevailing wage is for your occupation in your county. Your wages must not be detrimental to the wages and working conditions of other workers in your area. Past Violations of Immigration Laws – If you or your employer has made any violations to immigration laws, you will get your H1B extension denied. This can happen for reasons such as, you’ve been considered “out of status”, you’ve not maintained the qualifications for H-1B visa, you’ve committed a crime in the U.S. that makes your immigration status void, and your employer has fraudulently taken advantage of the immigration system or has otherwise violated immigration law. Therefore, it is advisable to work with your immigration lawyer to decide which steps should be taken to prevent your H-1B visa getting denied. Improper Delivery – Some petitioners make the foolish mistake of sending the documents and payments to the wrong service center or using an un-bonded delivery service when filing for an H-1B transfer. It is therefore recommended to check all dates and signatures as well as your assigned service center. Also, do not deliver the documents by hand or through any other unofficial method. Always use one of the officially trusted delivery services such as FedEx, UPS, or USPS. Denials Based on the “Buy American and Hire American” Executive Order – After Donald Trump’s signing of the April 18, 2017 “Buy American and Hire American” Executive Order, USCIS has been searching high and low for reasons to deny H1B visa petitions. The H1B extension rejection rate for FY 2018 is 57.29% and the rejection rate for FY 2017 is 63.98%. Your Current employer can choose to apply for MTR or Appeal against the decision made by USCIS. This doesn’t grant you an extension to stay or work and so it should be accompanied w/ another extension petition. These appeals are not guaranteed to overturn the decisions. And also it may take several months to get a response for the appeal and so filing an appeal is not very employee friendly. Your employer can file a new petition for you for the same position or different position. If your employer has a different position available, then they could file a new H1b extension petition for it. If filing for a similar position and location, they can reuse the LCA and save some time. If the petition is approved, USCIS may still ask you to get a new visa stamping by going out of the country. Your employer could file a new petition by attaching any additional pieces of evidence that would support the case. Opt for Premium processing to expedite your filing process. In some cases, the employer could also request for your stay under extraordinary circumstances. If USCIS accepts your petition, this is the best outcome. As USCIS would issue a new I797 with I94 and you wouldn’t have to leave the country. On the other hand, USCIS might approve the petition but ask you to re-enter the US with new stamping. Inconvenience, but still a better result. However, this whole process is expensive as the employer has to pay for the new application, premium processing etc. If H1B extension is rejected when you’re outside the U.S., your employer can start over and file a second I-129 petition on your behalf. This can be fruitful if the employer can address the flaw USCIS found in the original petition and produces a strong petition to overcome the previously denied petition. If you are in the U.S. and your employer files an I-129 petition, it will indicate that they are requesting USCIS to change your immigration status from current status to a new one, employment-based status to extend your legal status in the United States. If USCIS denies the I-129, the employer can file a second I-129 petition on your behalf, and correct any flaws that USCIS found in the first petition. If you work on a third party client project, most likely many other vendors may have been working for the client. As soon as you know about your extension denial, you can start searching for a new job with any of the known vendors and ask them if they would be interested to hire you for the same position. It’s always easier for a new employer to sponsor for a visa when the job applicant already has a valid job in hand. The processing will involve a new LCA and other processes like filing, documents, and expenses. Lastly, switch to different employers and have your new employer file cap-exempt petition for you. Basically, you would just start with a new employer and position. It may be challenging as you would most probably have to leave the US and apply for a visa transfer and extension after you get a job. If your spouse has a valid non-dependent visa, you can apply for a change of status (CoS) to become a dependent. For example, if your spouse is on H1B, then you can apply for H4 visa. Though that does not mean you are not authorized to work, you will get some time to figure out your situation and what to do next. If that’s not an option for you and you still want to come to the U.S., you may be able to come as a student within a different nonimmigrant visa category such as an F-1 student. There is no annual limit to how many foreign students may come to the U.S., but as F1 visa requirements, different documents and qualifications are needed to be eligible for student visas.